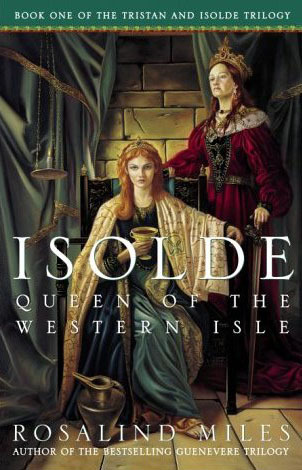 Among the most interesting aspects of “Isolde” is reading about this woman-led society, which was under Mother-rule – political and societal power having been bestowed upon women by the goddess mother at the beginning of time. Bucking the traditions of nearly all societies then and now, women ruled the country, made all of the decisions, and had control over every aspect of life. Miles writes about an Ireland where men were prized for their skills as warriors but had little use otherwise, except as bed warmers and child-getters. The story is good, but Miles often tries to make her tale fit the tastes of all readers. It’s a bodice-ripping romance novel, complete with schmaltzy references to “making powerful earth magic”; it’s an against-all-odds adventure tale with sword fights and bloody combat; and it’s all wrapped up in the mysticism of Arthurian times. Indeed, the mystical, other-worldliness is what comes through most clearly, laid on with a heavy-handedness guaranteed to delight readers with an interest in it and potentially put off nearly everyone else. It’s something of a science fiction novel set in medieval times. It’s difficult to mention “Isolde” without adding “Tristan” to the thought, and the book does focus on them as a couple a good portion of the time. 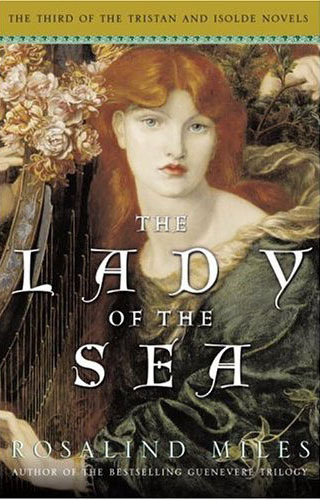 But Miles’ title is accurate; more than anything else, this first book revolves around getting to know Isolde – initially as a devoted daughter and princess of Ireland, then as a woman falling in love with her enemy, and finally as a queen who comes to recognise who she is as an individual and a lover. If you’re at all familiar with the Wagner opera – or opera in general – you know the story of Tristan and Isolde doesn’t end well, but because this is only the first book in a series, that’s not necessarily the case with “Isolde, Queen of the Western Isle”. Even if readers aren’t aware that a sequel is imminent, it’s pretty apparent that the last page in the novel is by no means the end of the story. “Isolde, Queen of the Western Isle”. Book on mythical Ireland princess, artsy and good. Rosalind Miles takes a stab at a legend as old as Arthur, Merlin and Camelot in her latest work, “Isolde, Queen of the Western Isle”, billed as the first in the Tristan and Isolde novels. 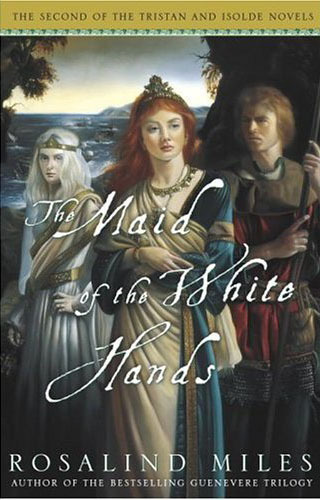 Miles, who also penned the best-selling Guenevere trilogy, has created an interesting, lyrical look at the mythical princess of Ireland and her enemy/lover, Tristan, a Lyonesse knight. If you know the story of Tristan and Isolde, it’s most likely because of the Richard Wagner opera named for the star-crossed lovers. For those already acquainted, a word of warning, however: Don’t expect the book to follow the operatic story. The two diverge on nearly every major plot point. And while it may be a cultural faux pas to say so, frankly, Miles has it all over Wagner. Call it a slightly more artsy version of the common assertion that the book is always better than the movie; in this case, the book is better than the opera. And it makes sense that it would be. There’s simply more room to sculpt a richly detailed story when you have 300 pages in which to do so. Isolde is a young woman when we meet her, well-loved by everyone in Ireland for her beauty, healing skills, and diplomacy. Isolde’s libidinous mother, the queen, has a revolving door of lovers and is constantly pressuring Isolde to take a lover and produce the next queen of Ireland. She resists romance until she’s called to heal a poor pilgrim who was stabbed with a poisoned sword. As readers know, the wanderer is Tristan, who was forced to hide his identity in order to seek Isolde’s skills. Naturally, love and complications ensue.